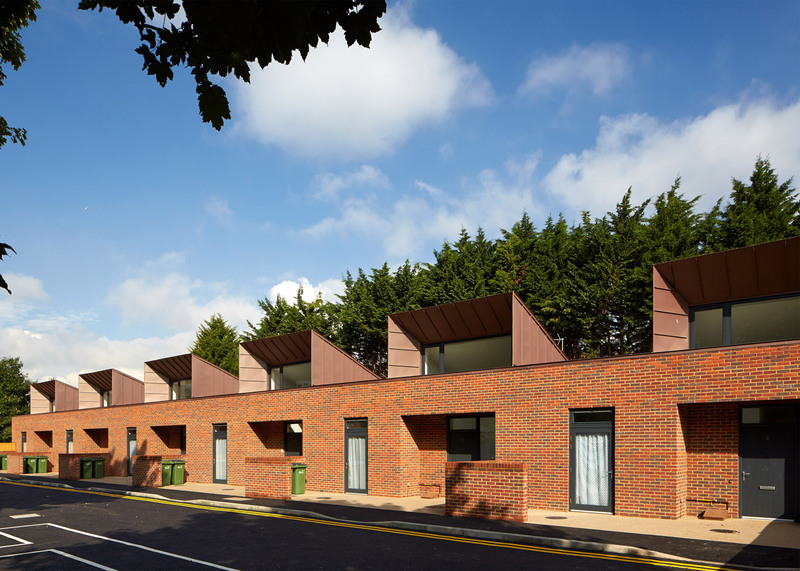 Hood-like roofs funnel natural light into these brick terraced houses in London by Bell Phillips Architects, which provide cost-effective homes for elderly and disabled residents (+ slideshow). 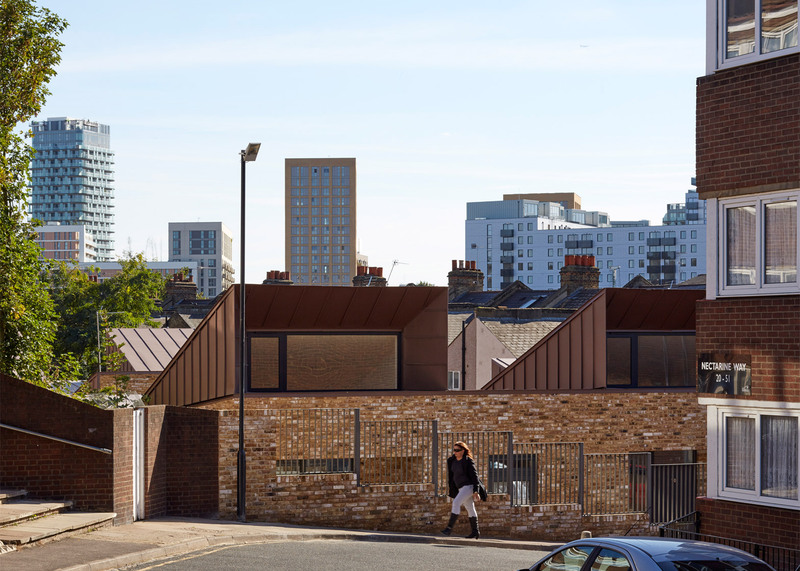 Bell Phillips was commissioned by the city's Royal Borough of Greenwich to develop a model for public housing, and it has so far been used to construct 22 properties for social rent across six sites. The single-storey dwellings make more productive use of land that previously contained garages, providing homes of an appropriate size for people over the age of 60. According to a statement released by the architects, "the design for each two-bed four-person home goes beyond standard requirements, and creates cost-effective housing that is easy for older occupants to manage". A total floor area of 90 square metres in each home exceeds local guidelines for wheelchair users, and incorporates a connected living room, kitchen and dining area, in addition to the two bedrooms. The design focused on creating bright and comfortable spaces, with a repeatable standardised form that combines references to traditional London housing with contemporary details. "In a design approach that simultaneously brings variety and uniformity, Greenwich Housing repeats a single prototype house design within terraces of two to six houses," the architects said. 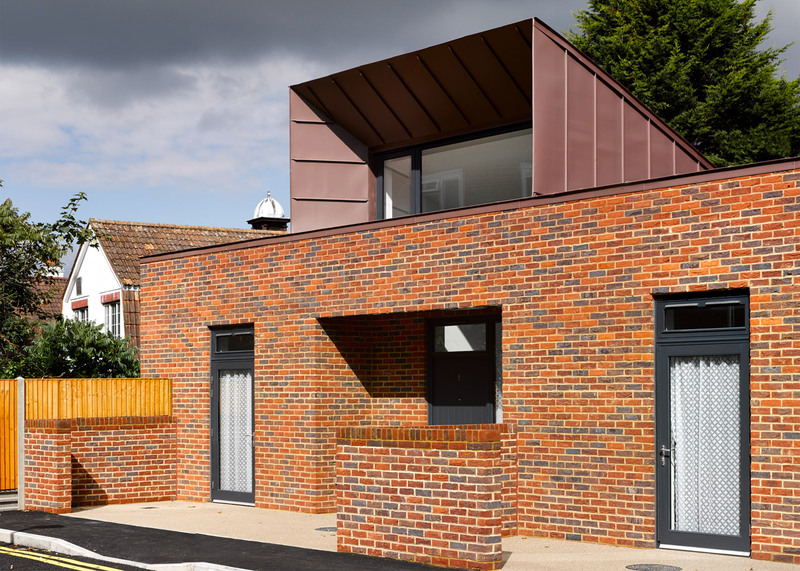 "Conscious that older people tend to spend more time at home, we endeavoured to provide generous, contemporary, light-filled houses that people will enjoy living in," they added. 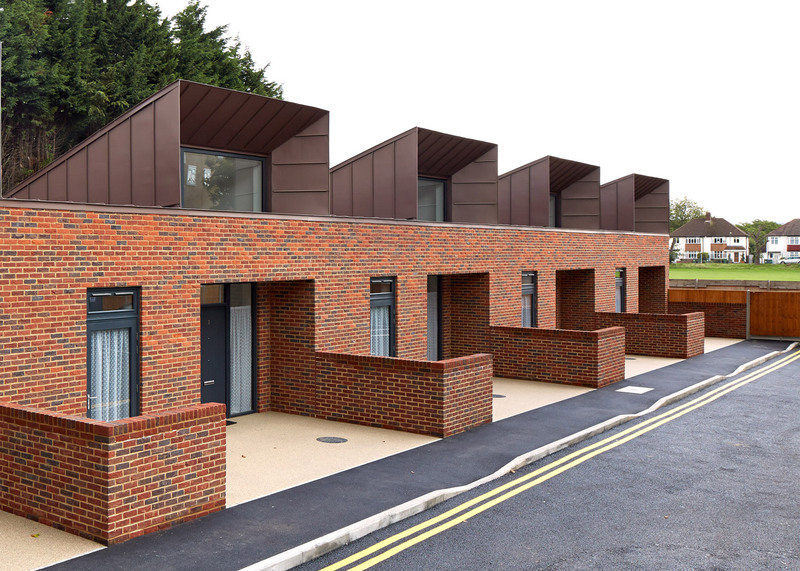 The brick units are arranged in rows like mews housing, with courtyards in front to encourage social interaction between residents. Small gardens are accommodated at the back of each property. 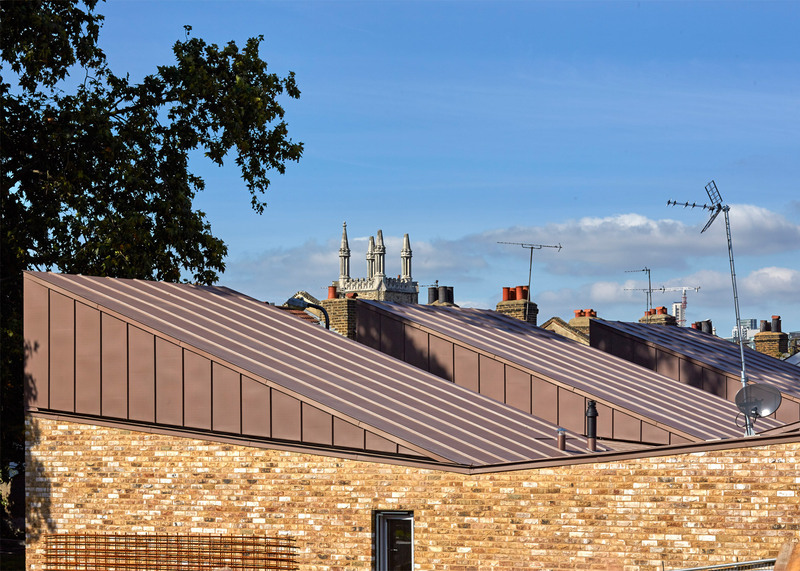 Zinc-clad roofs extend 1.5 metres above the brick walls and contain windows set back to protect them from direct sunlight. This allows light to flood the living areas while ensuring they are not overlooked. The angled roofs result in a saw-toothed profile. Roofs at the rear of each unit also angle upwards slightly to increase the ceiling height and give the garden-facing elevation a more interesting appearance. Brick and zinc were chosen for their robust qualities, and different shades of brick tie the buildings in with the surrounding context. The internal spaces are divided along the main axis, with the living areas on one side and bedrooms on the other. A corridor connecting the bedrooms also provides access to a shared bathroom. The main bedroom is situated at the rear of each home, where there is greater privacy and views of the garden. The second room at the front can be used as a study or additional living space if required. Bell Phillips Architects' previous projects include an origami-like folded steel staircase in a refurbished London home and a park and polished steel pavilion in a converted Victorian gas holder. Other housing projects proposed to tackle the lack of affordable accommodation in London include Richard Rogers' prefabricated dwellings for young homeless people and brick bungalows with tall chimneys and half gables designed for retired residents.